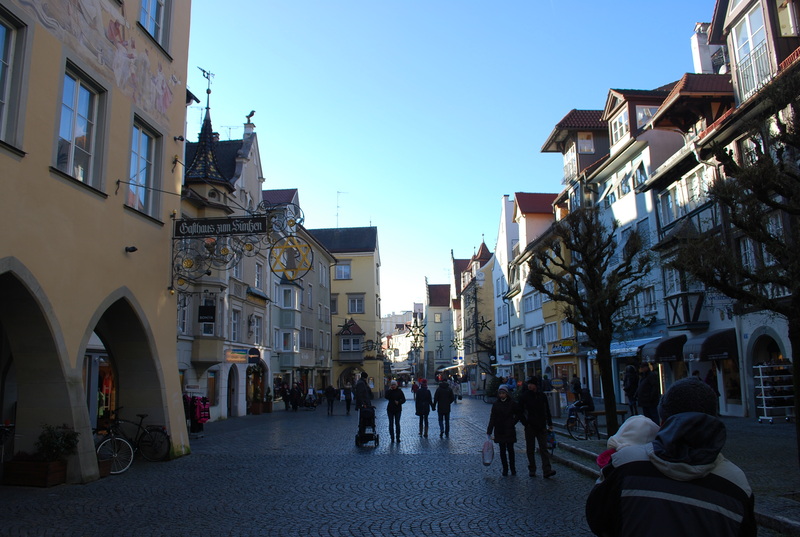 When Joe’s brother Jeff’s came to visit at Christmastime, we were lucky enough to manage a day trip to the town of Lindau. 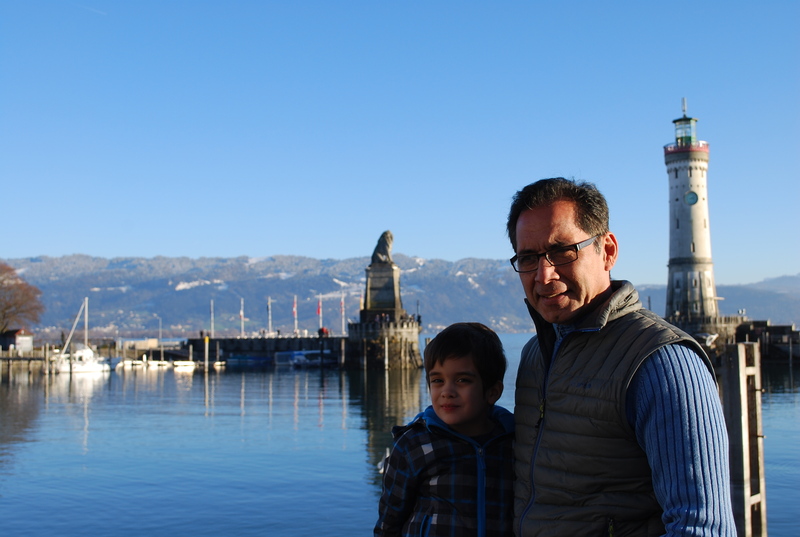 It’s a small island in Lake Constance (der Bodensee in German), and a popular vacation destination. 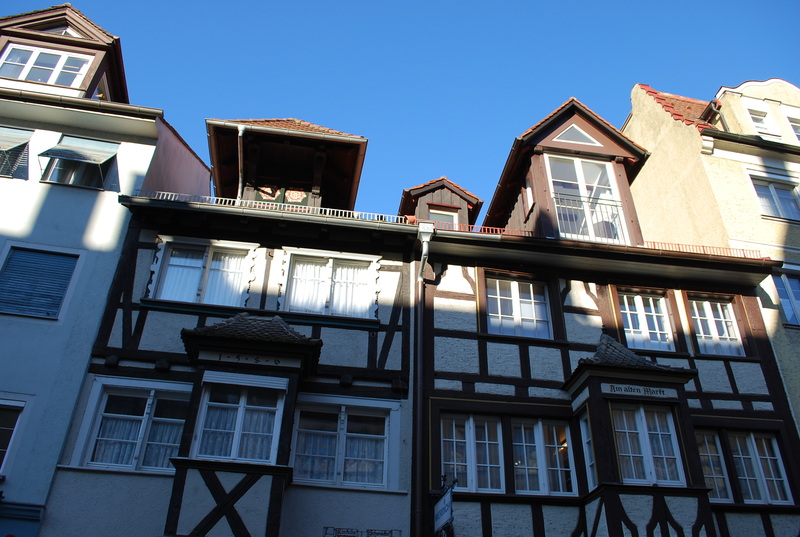 It’s at the southernmost part of the country, near the borders with Austria and Switzerland. 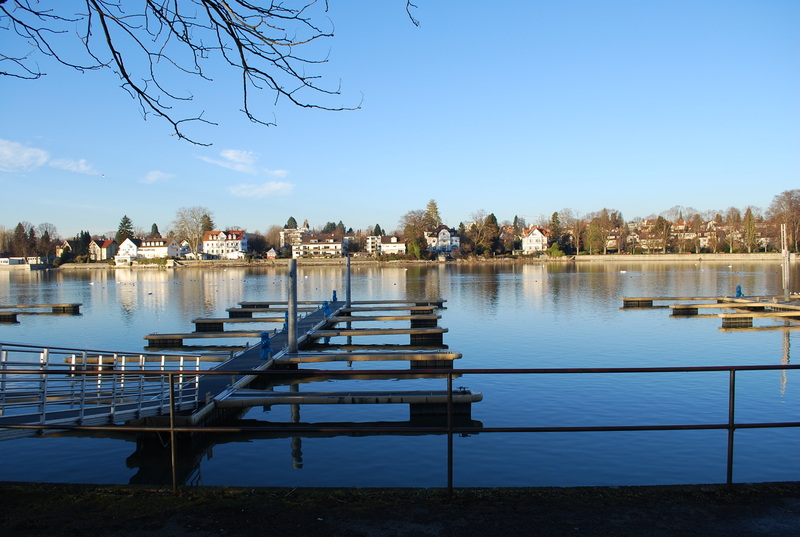 We drove onto the island by bridge and parked near a marina that reminds me a lot of Poulsbo, for some reason. Lucy wasn’t too happy to be out in the cold. 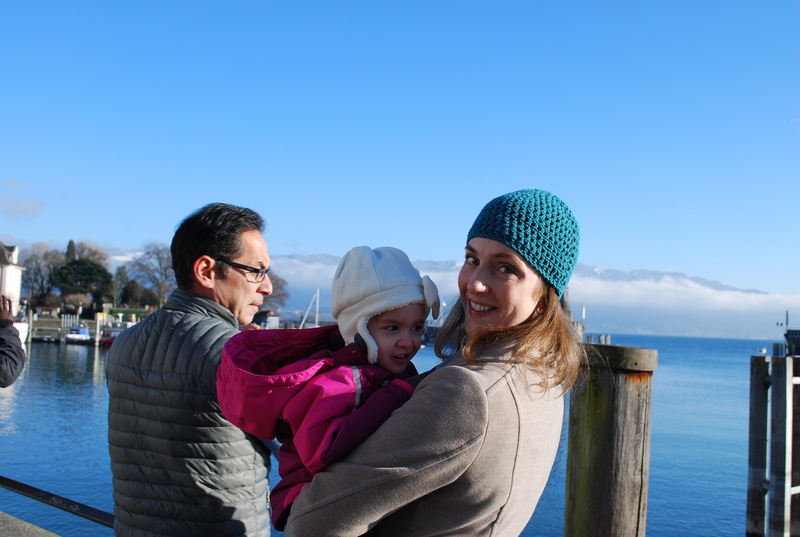 Toddlers have no appreciation for the picturesque views! 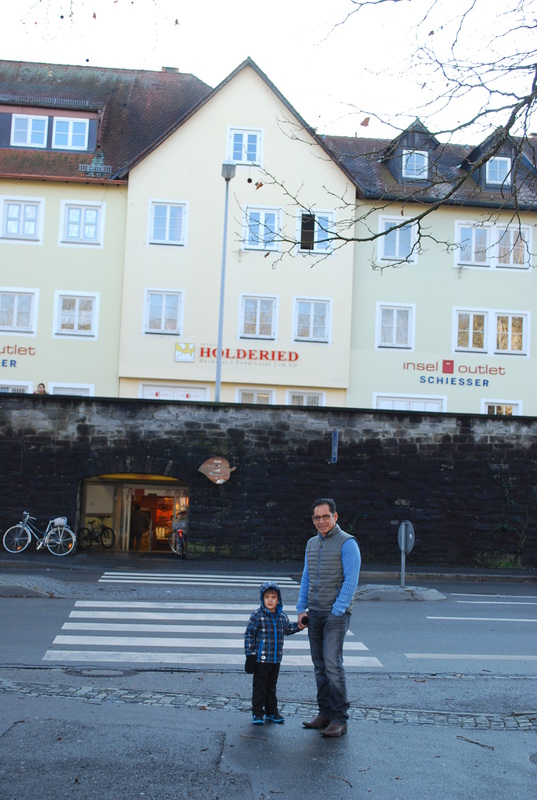 Jeff helped us to lead an eager Sam into the town center. 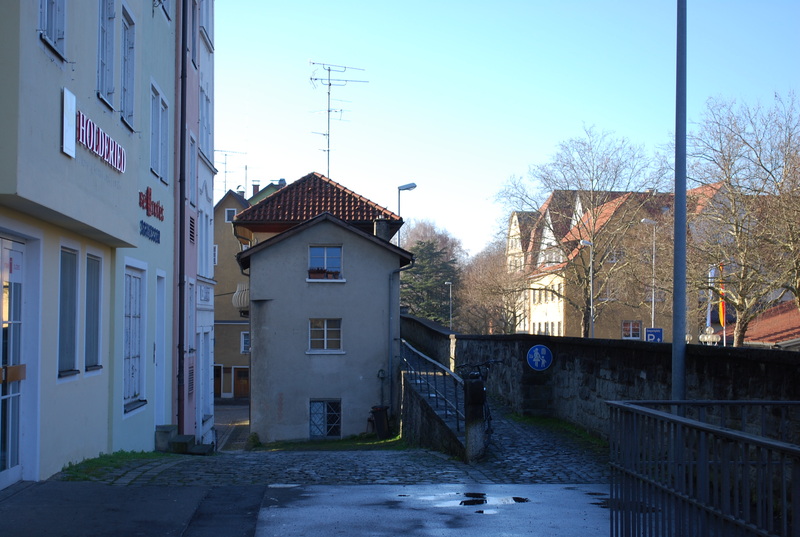 In the background, you can see the city wall which runs along the outskirts of the island. A view of the wall from above. 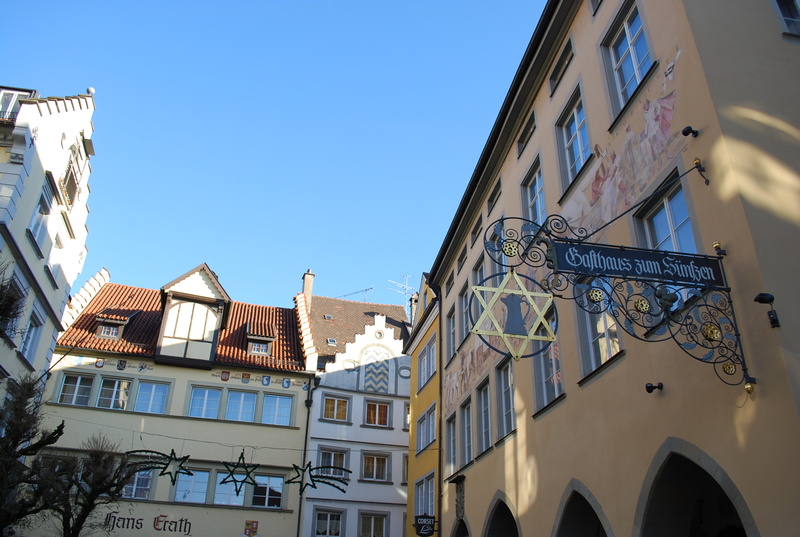 …we emerged into the heart of a charming, Bavarian village. 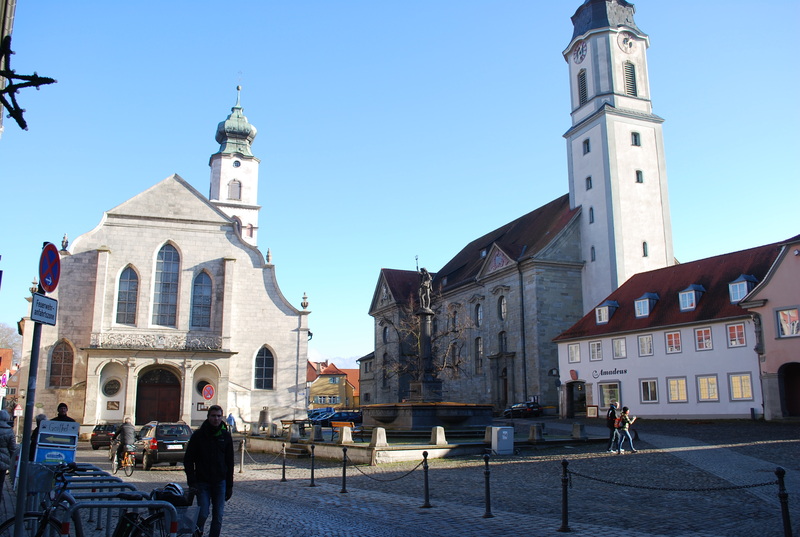 It has the requisite town church. Since we came during the Christmas holiday, many of the shops were closed. 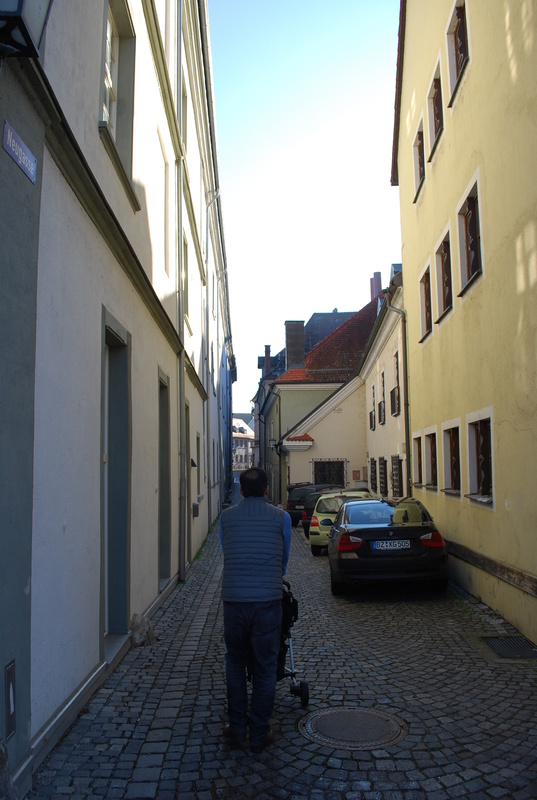 We mainly just wandered the streets and planned to come back another time. 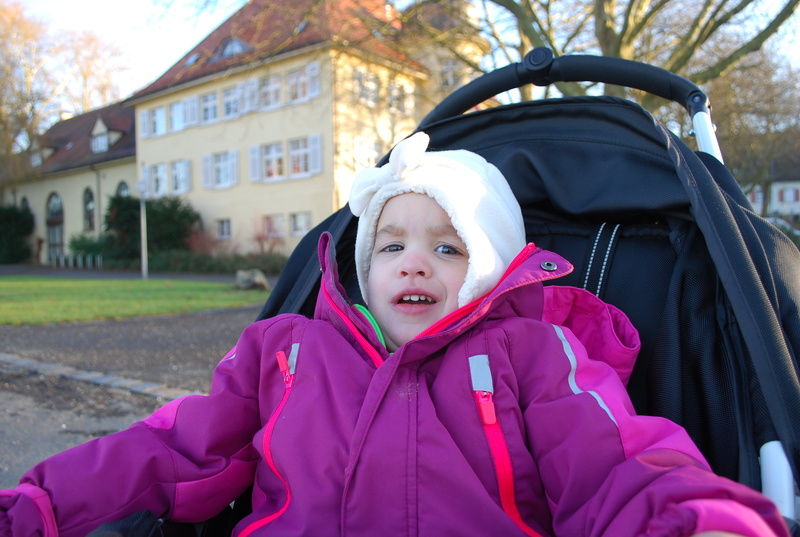 Don’t let the blue skies fool you, it was terribly cold out that day! Note in the foreground how Joe ended up carrying Lucy much of the day to help keep her warm. 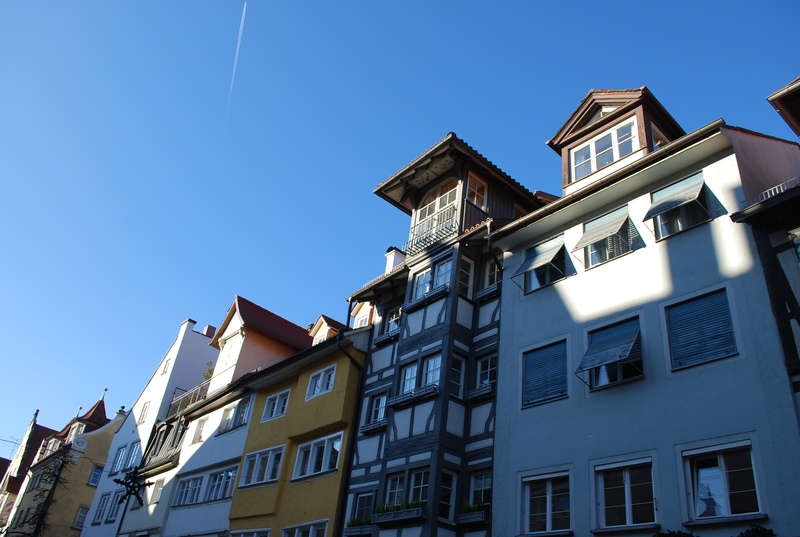 Love the Bavarian rooflines with their architectural details. 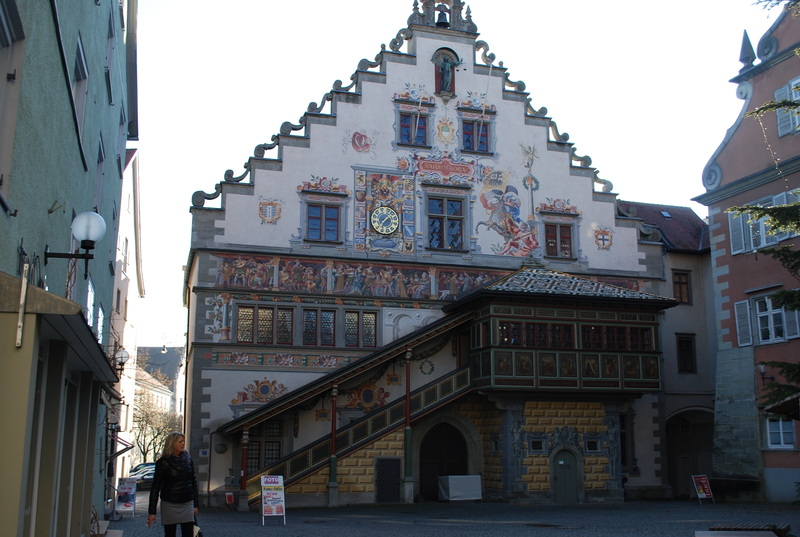 I haven’t yet lost my fascination with the Bavarian exteriors. Leavenworth is great and all, but it can’t compare to the real thing surrounding us at every turn. And these swirling business signs are so beautiful. 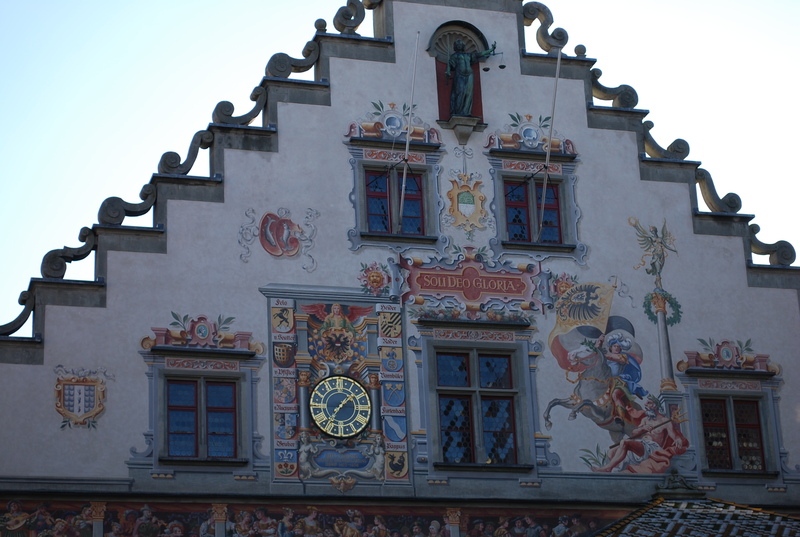 Lindau also has, of course, an ornately painted Rathaus (town hall). At the far edge of the island, we finally found a bit of sunshine to thaw out in. Such a beautiful view of the blue lake and Alps beyond. 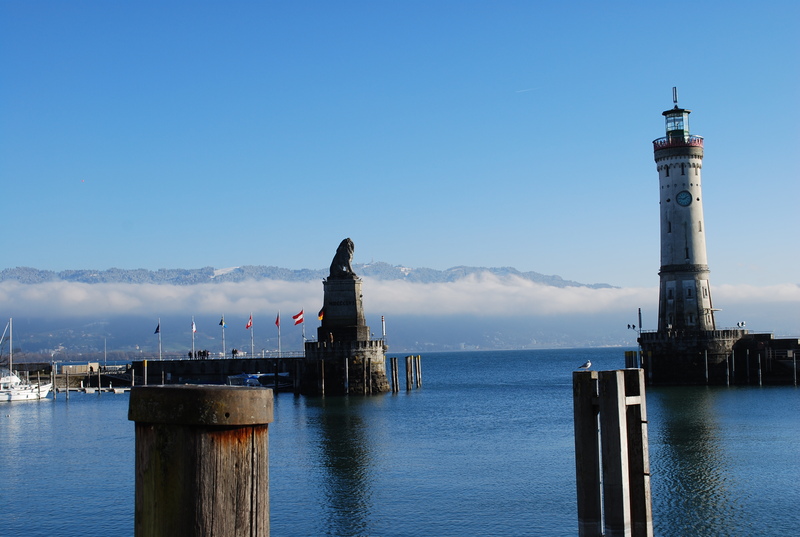 The Lindau harbor has a lion sculpture to stand guard, and Bavaria’s only lighthouse. 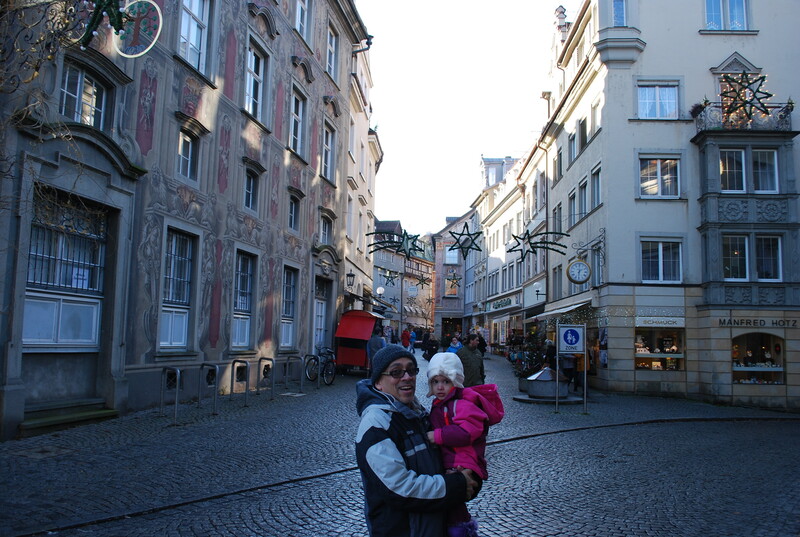 We owe a huge thanks to Uncle Jeff for the idea to visit Lindau and helping to get us there. It was a fantastic single-day getaway for us. 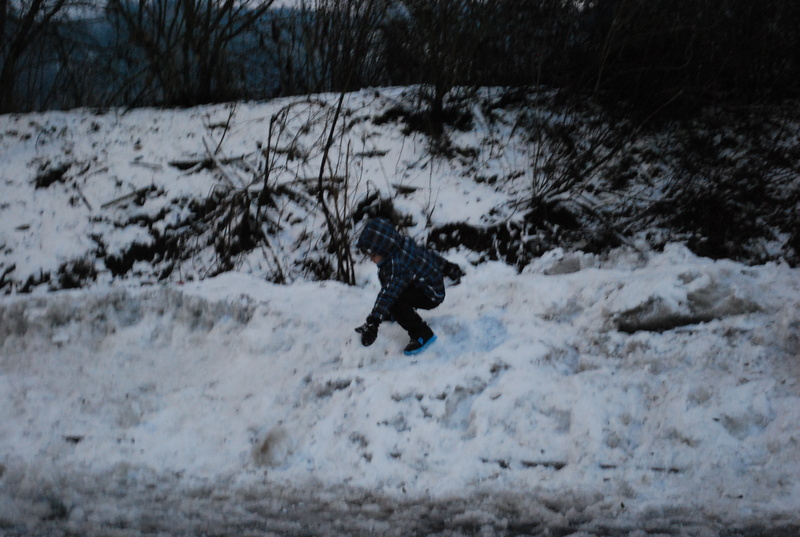 We even got to stop on the drive home for a little snow. 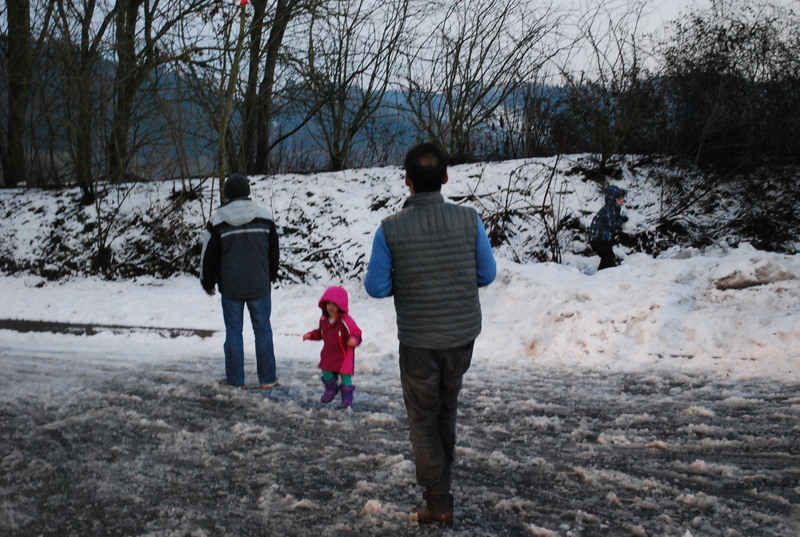 And Sam got to fulfill his month-long request for a snowball fight! What a happy boy.